Remarkable performance the slim S55 delivers astonishing CDM read/write transfer rates up to 500MB/450MB/sec. The economical solution for system upgrades the Series is designed for users looking for a High performance solution at an affordable price. 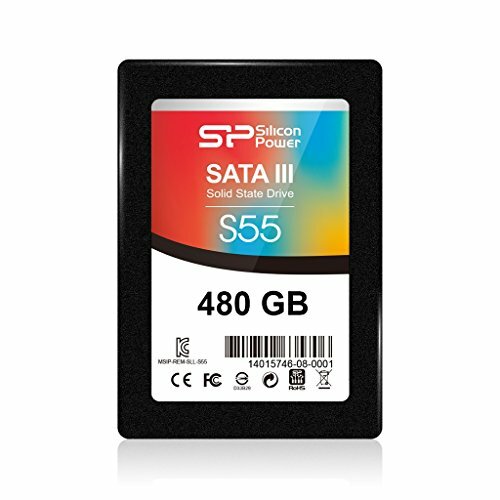 This Series also offers a different choice of capacities ranging from 120GB to 960GB. Multiple functions the S55 is shockproof and vibration-proof, and is built up with trim command, bad block management, s.M.A.R.T. Monitoring system and ECC technology to guarantee higher data transmission. It also implements the wear leveling technique for prolonged lifespan and better durability. Warranty the slim S55 comes with a 3-year Warranty.